If you're looking to treat yourself to a driving experience like no other, then you're looking for a Lincoln sedan or SUV. And if you're looking to enjoy a car shopping experience like no other, then a visit to Livermore Lincoln is in order. 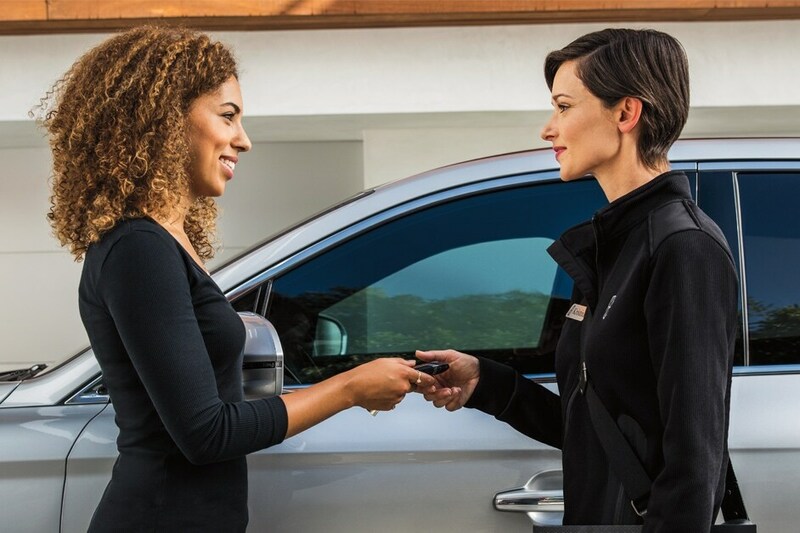 Not only do we offer the most comprehensive selection of Lincoln vehicles in Northern California, but we back that selection up with a steadfast commitment to providing you with the unparalleled customer service that you deserve. Whether you're in the market for a brand new Lincoln model, or are looking for a professional service center you can trust to take care of your current vehicle, our Livermore, CA dealership should be your first choice. Our convenient location is right off of I-580, making us an easy drive for our customers from the Hayward, CA and Pleasanton, CA areas. With the area's best selection of new Lincoln sedans and SUVs, it's no wonder we're the destination of choice for so many Northern California drivers who want the luxurious experience that only a Lincoln can provide. Whether you're interested in a commute-friendly sedan such as the Lincoln MKZ or the executive styling of the flagship Lincoln Continental, you're sure to find the right model at Livermore Lincoln. Of course, you can always depend on us to feature a thorough assortment of Lincoln SUVs, ranging from the compact Lincoln MKC to the generously-sized Lincoln Navigator L. In fact, we're proud to offer the area's best inventory of the brand-new Lincoln Nautilus, which represents the next step in both Lincoln design and engineering. One other thing that separates us from all other dealerships in the Northern California area: we're the only Lincoln dealer around who offers the benefits and privileges associated with the Lincoln Black Label program. Not only do you have the one-of-a-kid chance to put together your own Lincoln with the assistance of a personal concierge, but you also enjoy exclusive dinner and travel offers. We recognize that not every one of our Fremont customers is looking to purchase a new Lincoln. Some are interested in exploring all of the options available to them, which means checking out our used cars, pickups, SUVs and vans. Naturally, you'll find a tremendous variety of Lincoln models in our pre-owned inventory thanks to returning loyal customers trading in their current Lincoln model. However, we also offer many popular models from other automakers, both domestic and foreign, for your perusal. Each of these used vehicles has been carefully inspected prior to being offered for sale, ensuring that they meet your strict standards for both quality and appearance. Then there are the elite vehicles that have earned the right to be named Certified Pre-Owned Lincoln. These cars and SUVs have been put through a rigorous 200-point inspection process that examines every part of the vehicle, with Lincoln-trained technicians looking for any flaws that need correcting. If a part needs repair or replacement, only authentic Lincoln parts are used so as to ensure the correct fit and performance going forward. Once certified, each of these Lincoln vehicles comes with a comprehensive warranty coverage plan and 24-hour roadside assistance, to provide you the peace-of-mind you want. We get it. Financing is the part of the car-shopping experience that nobody looks forward to. It always seems like it takes all of the joy out of things as you seemingly spend hours and hours filling out paperwork and waiting for approval. We don't believe that should be the case, so we strive to operate differently. To us, the financing conversation should be a happy one, as it means you're that much closer to taking your new Lincoln home. That's why we offer many convenient online tools that can help complete much of the paperwork ahead of your visit to our Livermore showroom. From getting a fair market valuation of your trade-in to estimating your credit score or getting pre-qualified, we want to help you determine exactly how much you can safely afford to spend on your next vehicle. We even have a secure online financing application that you can fill out from the comfort of your own home, any time of day or night. Once you're approved, and armed with your current car's value and a good idea of what you can spend each month, our finance team is happy to get to work for you. They'll create the loan or Lincoln lease terms that meet your needs, and then walk you through your options to help you decide which approach works best for your lifestyle and your budget. We all know that the best way to keep your Lincoln in prime running condition is to keep up with your regular maintenance. Since nobody knows your Lincoln better than the expert technicians in our Service Center, it only makes sense to count on them to deliver the professional, knowledgeable service and repairs that you need. They have the training and skills to take care of your Lincoln, and understand how essential it is to do so in a timely manner that gets you back out on the road and home to Stockton, CA as soon as possible. From routine oil changes to more complex repairs, they're the authorities to rely on when it comes to your service and repair needs. If they need to replace anything on your Lincoln, they only use genuine Lincoln parts sourced from our Parts Center-- and you should do the same if you're a do-it-yourself kind of owner. While generic parts may be slightly more affordable, they aren't designed exclusively for your model. That means they'll probably have fit issues and may fail at inopportune times -- and cause even more damage as they do. Our staff knows what part you need for what project and can get you that item in a hurry. We invite you to stop by and see why so many of your friends and neighbors trust us for all things Lincoln. Our team is happy to help you in any way they can, and look forward to meeting you soon!